You can cast your vote for the 2013 Readers’ Choice Award online at oregonlive.com/books. The winner will be announced at the Oregon Book Awards ceremony on April 8th at the Gerding Theater at the Armory. 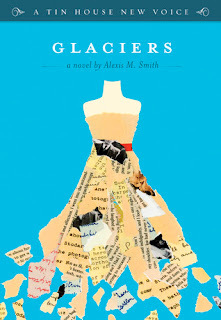 Glaciers follows Isabel through a day in her life in which work with damaged books in the basement of a library, unrequited love for the former soldier who fixes her computer, and dreams of the perfect vintage dress move over a backdrop of deteriorating urban architecture and the imminent loss of the glaciers she knew as a young girl in Alaska. Fell asleep in a park. Started to rain. Woke up with my hat full of leaves. You are all I see when I open or close a book. Alexis M. Smith grew up in Soldotna, Alaska, and Seattle, Washington. 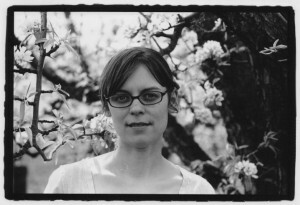 She holds degrees from Portland State University and Goddard College. She has a son and two cats, and they all live together in a little apartment in North Portland.